On 18 March 2015, three militants attacked the Bardo National Museum in the Tunisian capital city of Tunis, and took hostages. Twenty-one people, mostly European tourists, were killed at the scene, while an additional victim died ten days later. Around fifty others were injured. Two of the gunmen, Tunisian citizens Yassine Labidi and Saber Khachnaoui, were killed by police, while the third attacker is currently at large. Police treated the event as a terrorist attack. The Islamic State of Iraq and the Levant (ISIL) claimed responsibility for the attack, and threatened to commit further attacks. However, the Tunisian government blamed a local splinter group of al-Qaeda in the Islamic Maghreb, called the Okba Ibn Nafaa Brigade, for the attack. A police raid killed nine members on 28 March. Since the removal from power of longtime President Zine El Abidine Ben Ali in the 2011 Tunisian Revolution, the country has faced occasional attacks from Islamist militants, mainly in remote areas. Its citizens have also been one of the largest constituents of the Islamic State of Iraq and the Levant (ISIL). Tourism has been important to the nation's economy since its transition to democracy. The morning of the attack, the MSC Splendida and the Costa Fascinosa landed at the Port of La Goulette. Some of the passengers on board the ships had decided to go to the Bardo Museum. At the time of the attack, more than 200 tourists were present in the vicinity. The attack began at around 12:30 p.m. At that time, security guards protecting the museum and the nearby Parliament building were absent on a coffee break. The tourists were attacked as they were getting off a bus to enter the Bardo Museum compound. As scores of visitors ran toward the museum to avoid the shooting, the attackers pursued them and took them hostage inside. The siege lasted three hours, ending when security forces breached the building and killed two of the attackers. One policeman was fatally shot during the rescue operation. Tunisian security forces escorted dozens of tourists up nearby steps and away from the danger, as armed agents pointed guns toward an adjacent building. Many tourists ran in panic to safety, including at least one couple carrying two children. During the attack, members of Parliament were discussing counter-terrorist legislation when they were ordered to evacuate the building due to the sound of gunfire. They were later forced to lie down on the ground as security forces commenced the rescue operation of hostages. Memorial with the names of victims at the entrance. According to analyst Rita Katz of the SITE Intelligence Group, holders of Twitter accounts associated with ISIL were overjoyed at the attack, urging Tunisians to "follow their brothers". The day following the attack, the Islamic State group issued a statement claiming responsibility for the incident and promising further attacks. Meanwhile, a Twitter account linked to the Islamic State published a photograph of one of the Italian victims; the image, showing Francesco Caldara, has a red cross drawn on it and the words: "Crusader Crushed." Anti-terrorism protests began in central Tunis after the attack, with crowds reportedly chanting, "Tunisia is free, terrorism out." On 24 March, nearly a week after the attack, the museum held a ceremonial reopening. Simultaneously, thousands of Tunisians and tourists staged a march in Tunis to show their solidarity with the slain victims. On 29 March, tens of thousands of demonstrators, along with French President François Hollande, Italian Prime Minister Matteo Renzi, and several other world leaders, marched in Tunis under the slogan The World Is Bardo (Le Monde est Bardo) to protest terrorism. When the attack ended, nineteen foreign tourists, including four Italians, three French nationals, three Japanese, three Polish nationals, two Spaniards, two Colombians (including one with dual Australian citizenship), one Russian, and one British national were found to have been killed. One Tunisian citizen, one Tunisian police officer, and two perpetrators were also reported dead. Eight victims died outside the museum, while thirteen others died inside the building. On 28 March, an injured French woman, Huguette Dupeu, died of her wounds at a hospital. Over 50 other people were injured, many of them foreign tourists. Eleven Polish nationals, six Italians, three Japanese, and seven French nationals were confirmed wounded by their respective governments. MSC Crociere S.A. reported that nine of its guests had been killed, and twelve were injured; six visitors, all from the MSC Splendida, are still unaccounted for, including two Spaniards, one Belgian, one British national, one French national, and one Japanese. The cruise company said that it would not schedule any further visits to the Port of La Goulette in 2015, choosing Malta as a replacement. Yassine Labidi and Saber Khachnaoui, both Tunisian citizens, were identified by Tunisian Prime Minister Habib Essid as the two slain gunmen a day after the attack. Prior to the attack, Labidi lived in the Tunis neighborhood of Ibn Khaldoun, while Khachnaoui was from Kasserine. Labidi moved after the Jasmine Revolution to Sfax for work, and lived there until his death. He worked as a deliveryman for a local business prior to the attack. While Labidi was known to intelligence services, neither of the two men had previously been positively linked to known Tunisian terrorist organisations. An operation looking for up to three suspected accomplices was launched immediately following the attack. On the following day, nine people were arrested, four for direct links to the cell which carried out the shooting and five for having indirect links to it. Their roles in the attack have not yet been clarified. On 21 March, the number of people arrested reached over twenty, with ten accused of having direct links to the museum attack. On 26 March, authorities arrested twenty-three members of a terror cell linked to the attack, although they confirmed three suspects, all Moroccan and Algerian nationals, were still on the run. According to BBC security correspondent Frank Gardner, an al-Qaeda operative claimed the men had spent two months training with militants in Derna, Libya. On 20 March, Tunisian Security Minister Rafik Chelly announced that Labidi and Khachnaoui had received weapons training in Libya from an unspecified group prior to carrying out the attack. According to authorities, they managed to slip past the border to Libya undetected in December. On 22 March, Tunisian President Beji Caid Essebsi said a third gunman was involved in the attack, and is at large. On 28 March, Tunisian police killed Lokman Abu Sakhra, an Algerian suspected of planning the attack, along with eight other armed men during a raid in the southern Gafsa region. They were allegedly major members of the Okba Ibn Nafaa Brigade, a splinter group of al-Qaeda in the Islamic Maghreb. Interior Ministry spokesman Mohamed Ali Aroui said, "[T]he nine were among the most dangerous terrorists in Tunisia." Sakhra was said to be the leader of the group. The Tunisian government said the Okba Ibn Nafaa Brigade was responsible for the attack, despite claims of responsibility made by the Islamic State of Iraq and the Levant. On 20 May, 22-year-old Moroccan illegal immigrant Abdelmajid Touil was arrested in Italy on allegations that he aided the attackers. Tunisian President Beji Caid Essebsi announced via Facebook that he would address the nation later that day. In his address, he called the attack a "huge disaster" and called for Tunisia to prevent such an attack in the future, further saying that the country was in a "war against terrorism". He also pledged for the quick passage of an anti-terrorism law. Prime Minister Habib Essid issued a statement on the "cowardly" attack and called for unity, later chairing an emergency cabinet meeting. Essebsi also praised Akil, a one-and-a-half-year-old German Shepherd police dog who was killed in the raid, saying, "It's a victim we don't talk about but it's a heavy loss." On the day following the attack, Essebsi ordered the deployment of Tunisian troops to the country's major cities as a security precaution. Australian Foreign Affairs Minister Julie Bishop called the incident a "terrorist attack on a fledgling democracy", and Prime Minister Tony Abbott sent his condolences to the family of an Australian killed in the attack. British Foreign Secretary Philip Hammond described the killings as a "cowardly terrorist attack", whilst Prime Minister David Cameron described the incident as "appalling and brutal". Colombian President Juan Manuel Santos lamented the death of the two Colombians killed in the attack and expressed his solidarity with their families; the foreign ministry added a statement. French Prime Minister Manuel Valls condemned the attack. Italian Prime Minister Matteo Renzi condemned the attack and emphasized that Italy is close to the Tunisian government. President Sergio Mattarella condemned the attack as "a fact of unprecedented violence". 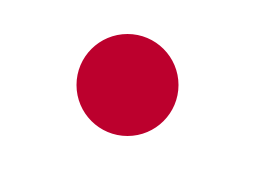 The Japanese government condemned the attack as "despicable", while Prime Minister Shinzō Abe, in addition to his own condemnation, stated that Tokyo was working to collect further information. The Ministry of Foreign Affairs and Cooperation of Spain condemned the attack in a press release. Condolences and outrage were expressed by other states, including the Holy See, Mexico, the Sahrawi Arab Democratic Republic, Singapore, Syria, Turkey, and the United States. 1 2 Siddique, Haroon; Tran, Mark (18 March 2015). "Tunisia terror attack: 19 dead after gunmen storm museum". The Guardian. Retrieved 19 March 2015. 1 2 3 "Tunisia Museum Attack Is Blow to Nation's Democratic Shift". New York Times. 18 March 2015. Retrieved 16 January 2016. ↑ Robson, Steve (18 March 2015). "Tunisia Parliament attack". The Mirror. Retrieved 18 March 2015. 1 2 Tarek Amara. "Gunmen storm Tunisian museum, kill two Tunisians, 17 foreign tourists site". Reuters. Retrieved 19 March 2015. 1 2 3 "Third Tunisia museum attacker 'on the run', says president". Yahoo! News. March 22, 2015. Retrieved March 22, 2015. 1 2 3 "Museum attack a 'great calamity' for Tunisia's young democracy". latimes.com. 18 March 2015. Retrieved 19 March 2015. ↑ Death toll rises to 23, msn.com; accessed 19 March 2015. 1 2 "ISIS Claims Responsibility For Tunisia Museum Attack". The Huffington Post. Retrieved 19 March 2015. 1 2 3 4 "Thousands of Tunisians, leaders march after Bardo attack". Reuters. 29 March 2015. Retrieved 29 March 2015. ↑ Walker, Jim. Terrorists Kill Tourists as Costa Fascinosa and MSC Splendida Visit Tunis, cruiselawnews.com, 18 March 2015. 1 2 Squires, Nick. Tunisia attack: Briton missing after shooting, says cruise company - latest, The Telegraph, 18 March 2015. ↑ "Eight dead after attack in Tunisia Bardo Museum". LaInfo.es. 18 March 2015. ↑ "Third attacker on run after deadly attack on Bardo Museum: Tunisia president". The Straits Times. 22 March 2015. Retrieved 22 March 2015. ↑ "Gunmen storm Tunisian museum, kill 17 foreign tourists". Reuters. 18 March 2015. Retrieved 18 March 2015. ↑ "Tunisia Parliament Attack Live Stream: Militants Dead, Victims' Nationalities Identified, 20 Hostages In Serious Condition [PHOTOS]". International Business Times. 18 March 2015. Retrieved 18 March 2015. ↑ Chris Stephen. "Tunis museum attack: 19 people killed after hostage drama at tourist site". The Guardian. Retrieved 18 March 2015. ↑ "Tunisia Bardo Museum attack: Hero police dog killed in terror siege gets tearful ovation". Daily Mirror. 18 March 2015. Retrieved 18 March 2015. ↑ "Gunmen kill at least 20 at museum in Tunisian capital". msn.com. Retrieved 18 March 2015. 1 2 3 4 5 "UPDATE 1: 8 dead, hostages taken in Tunisia parliament, museum attack". Ahram. Agence France-Presse. 18 March 2015. Retrieved 18 March 2015. 1 2 "Tunisia museum attack kills at least 19; three suspects sought". CNN. 18 March 2015. Retrieved 16 January 2016. ↑ "Gunmen kill at least 20 at museum in Tunisian capital". Yahoo News. 18 March 2015. Retrieved 18 March 2015. ↑ "Vittima italiana come trofeo, l'Isis: "Schiacciato il crociato"" [Italian victim as trophy, ISIS: "Crusader Crushed"]. ilgiornale.it. ilgiornale. Retrieved 16 January 2016. 1 2 "As it happened: Tunisia attack". bbc.com. Retrieved 18 March 2015. ↑ "Tunisia's Bardo museum in symbolic reopening and march after attacks". Reuters. 24 March 2015. Retrieved 26 March 2015. ↑ "Leading Suspect in Tunisia Museum Attack Killed". ABC News. 29 March 2015. Retrieved 16 January 2016. ↑ "Tunisia, attentato al Museo: sono quattro le vittime italiane" (in Italian). Corriere della Sera. Retrieved 29 September 2015. ↑ "Tunisi: terroristi sparano nel museo. Quattro italiani morti" (in Italian). La Repubblica. Retrieved 29 September 2015. 1 2 "Frenchwoman dies of injuries from Tunisia museum attack". Yahoo! News. 28 March 2015. Retrieved 29 March 2015. ↑ "Zamach w Tunezji: nie żyje trzecia osoba z Polski" (in Polish). TVN24. Retrieved 20 March 2015. ↑ "Жертвой теракта в Тунисе стала россиянка". Новости Mail.Ru. Retrieved 19 March 2015. ↑ Tran, Mark (19 March 2015). "Briton among dead in Tunisia museum attack". The Guardian. Retrieved 20 March 2015. 1 2 "Twenty-three suspected members of Tunisian terror cell are arrested in connection with fatal Bardo museum attack – but three are still on the run". Daily Mail. 26 March 2015. Retrieved 16 January 2016. ↑ "Tunisia museum attack: Frenchwoman dies of injuries". BBC News. 28 March 2015. Retrieved 16 January 2016. 1 2 3 4 5 "Gunmen in Tunisia shoot dead tourists at National Bardo Museum". news.com.au. 18 March 2015. Retrieved 16 January 2016. 1 2 Gander, Kashmira (18 March 2015). "Tunisia shooting: 11 dead including two gunmen at Bardo Museum". The Independent. Retrieved 18 March 2015. ↑ "Informations à propos de l'escale de Tunis" (in French). msccroisieres.fr. 18 March 2015. Retrieved 16 January 2016. ↑ "Cruise ship reroutes to Malta after Tunis attack". Times of Malta. 21 March 2015. Retrieved 16 January 2016. ↑ "Tunisia PM: One museum attack suspect was known to security services". Yahoo News. 18 March 2015. Retrieved 16 January 2016. ↑ "Tunisia museum attack: Two Tunisian-born gunmen named as Yassine Labidi and Saber Khachnaoui". International Business Times. 18 March 2015. Retrieved 16 January 2016. ↑ "Although Labidi had gone to the Tunisian city of Sfax to work". CNN. 19 March 2015. Retrieved 19 March 2015. 1 2 "Tunisian president says hunt on for third man in museum attack". FOX News. March 22, 2015. Retrieved March 22, 2015. ↑ "Islamic State Claims Tunis Attack". Wall Street Journal. 19 March 2015. Retrieved 19 March 2015. 1 2 "Tunis Bardo museum: Nine suspects arrested for links to attack". BBC News. 19 March 2015. Retrieved 19 March 2015. ↑ "Tunisia Attack: 9 People Arrested Over National Bardo Museum Raid That Killed 23". International Business Times. March 19, 2015. Retrieved March 19, 2015. ↑ "Tunisia arrests more than 20 in crackdown since museum attack". Reuters. 21 March 2015. Retrieved 22 March 2015. ↑ Faith Karimi; Tim Lister & Greg Botelho (20 March 2015). "2 Tunisia museum attack suspects got weapons training in Libya, official says". CNN. Retrieved 20 March 2015. ↑ "Tunis Bardo Museum attack: Thousands join protest march". BBC News. 29 March 2015. Retrieved 29 March 2015. ↑ "Tunisia Bardo museum attack: Man arrested in Italy". BBC News. 20 May 2015. Retrieved 21 May 2015. ↑ "Tunisia attack: Australian among 19 people, including 17 tourists, killed in attack on Bardo Museum in Tunis". abc.net.au. 18 March 2015. Retrieved 18 March 2015. ↑ "Third Tunisia museum suspect 'on the run'". Daily Mail. 22 March 2015. Retrieved 22 March 2015. ↑ "Tunisia museum attack: Akil the German Shepherd, killed by gunmen, hailed a hero". CBC. 21 March 2015. Retrieved 22 March 2015. ↑ "Tunisian troops to guard cities in aftermath of deadly museum attack". The Guardian. 19 March 2015. Retrieved 19 March 2015. ↑ "Tunis museum attack: Briton killed in shootings named as Sally Adey". BBC News. 19 March 2015. Retrieved 20 March 2015. ↑ "Familia de general colombiano retirado, víctima de terrorismo en Túnez" [Family of Colombian general, victims of a terrorism attack in Tunisia] (in Spanish). ElTiempo.com. 18 March 2015. Retrieved 18 March 2015. 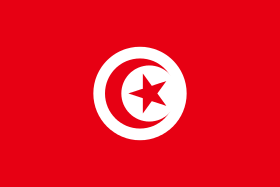 ↑ "Tunisia: premier Renzi condanna attacco" [Tunisia: Prime Minister Renzi condemns attack]. Ansa (in Italian). 18 March 2015. Retrieved 18 March 2015. ↑ F. Q. "Tunisi, Mattarella: "Un gesto di inaudita violenza, l'Italia non si farà intimorire" - Il Fatto Quotidiano". Il Fatto Quotidiano. Retrieved 19 March 2015. ↑ "España condena el atentado terrorista en Túnez" [Spain condemns the terrorist attack in Tunisia] (in Spanish). 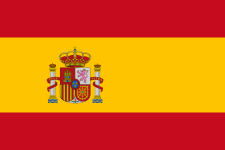 Government of Spain. 18 March 2015. Retrieved 18 March 2015. ↑ "Il cordoglio del Santo Padre per le vittime dell'attentato terroristico a Tunisi" [Condolences of the Holy Father to the victims of the terror attack in Tunis]. vatican.va (in Italian). Retrieved 19 March 2015. ↑ "Canciller México condena ataque en Túnez, del que salieron ilesos 8 mexicanos" [Mexican Chancellor condemns attack in Tunis, from which 8 Mexicans escaped unharmed] (in Spanish). ABC (newspaper). 18 March 2015. Archived from the original on 19 March 2015. Retrieved 19 March 2015. ↑ "President of Republic offers condolences following Tunisia museum attack". Sahara Press Service. 19 March 2015. Retrieved 19 March 2015. ↑ "MFA Spokesman's Comments in response to media queries on the attack on the Bardo Museum in Tunis, Tunisia on 18 March 2015". mfa.gov.sg. Retrieved 20 March 2015. ↑ "Syria strongly condemns terrorist attack against National Museum in Tunisia". SANA. 19 March 2015. Retrieved 19 March 2015. ↑ "Turkey condemns Bardo Museum attack in Tunisia". Today's Zaman. 20 March 2015. Retrieved 20 March 2015. ↑ "Statement by the Press Secretary on the Attack at Tunisia's National Bardo Museum". The White House. Retrieved 19 March 2015.